The NFL is now underway and wherever you are you don’t have to miss a game! Hopefully you have heard of NFL Game Pass. An awesome online service that shows every single game.Ill show you How to Watch Every NFL Game Live From Anywhere in The World. The thing is, if you live in the USA, Direc TV has the monopoly on live games so you have to watch replays only! If you live in the UK or Ireland, you need an expensive Sky Sports service. Nay. With a VPN or Smart DNS service you can watch every single game LIVE. How? Your VPN service will make your location appear to be outside of both the US and UK. For example, placing yourself in a European country such as Belgium, means you escape all the blackouts and broadcast rights restrictions. The NFL league changed its streaming options for NFL fans wanting to watch live games online in the US. From 31st July 2015, it discontinued its Game Rewind streaming service in the US and replaced it instead with NFL Game Pass, a service that’s been available outside the US for some time now. 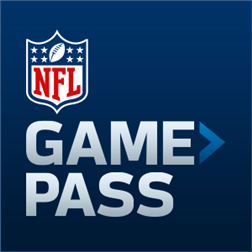 What is NFL Game Pass? For Americans, this new streaming service provides access to all 256 regular season NFL games on demand. However, regular season games will NOT be streamed live. It also offers an NFL preseason games live online depending on your chosen subscription package. What platforms can I watch the NFL Game Pass on? You can watch the NFL Game Pass on a number of media or streaming players including but not limited to the Xbox One, Apple TV, iOS, Android and Windows mobile devices, tablets, computers and no doubt more devices to be announced shortly. 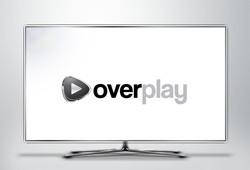 Another great feature, depending on your sub package is that you can watch every NFL game since 2009 on demand! SO if you have a lot of time then that might be for you!! If you love the NFL, don’t want cable or satellite or have been thinking about cutting the cord and going all digital, then this is a really good option for you. Absolutely you can, but the games you get depend a little on where you are, or where you appear to be at least. See the sections below for a run down. Can I Watch the NFL Game Pass in Canada? Yes. However, the Canadian NFL Game Pass is subject to blackouts! Not really much point then with better options available. This is a good option there’s no doubt. But there are restrictions. In the UK, the rights to the Super Bowl are shared between the BBC and Sky UK. So you won’t be able to watch that game. In addition, no game already being broadcast by Sky will be allowed to stream on the NFL Game Pass in the UK and Ireland. Sky have about 3 games a week and they normally have the ‘good ones’. So whilst the Game Pass is really good value, you probably wouldn’t want to get both Sky and the NFL Game Pass unless you absolutely adore the NFL and have some spare change as the package will set you back around £75 a month for Sky Sports + the cost of the Game Pass. Outside of the USA, Canada and the UK, the NFL Game Pass really comes into its own. You can watch every game live and on demand. It has a whole host of cool features including Condensed Games of 30 minutes and the legendary NFL Redzone Live which shows every touchdown from every game! Basically, what you need is a mainland European subscription, Australian or a South American one. Are all NFL Game Passes The Same Price? Whats the Cheapest NFL Game Pass Price? Below are the USA Price, UK Price, Mainland Europe Price and the Mexican and Brazilian Price for the Season Pass Plus package. Try to contain your surprise when I tell you the UK NFL Game Pass is the cheapest. As you can see below, most plans are very close in price. There are probably a few reasons for this, not least, the follow my team pass has gone, as has the mid tier package. All thats left is a weekly plan and the full plan, Season Pass Plus. The UK price has obviously been made before we decided to ruin the currency and the Brazilian Real has gone up in value. Don’t forget, to ensure you get live games with the NFL Game Pass and avoid the NFL Blackouts, sign up to an international pass, it doesn’t matter which, just don’t get the USA one. 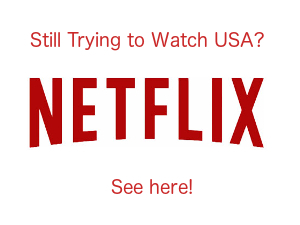 Is It Worth Watching the USA NFL Game Pass? I think so. Its hard to catch every game live and the USA Game Pass allows you to watch football games on demand the day after they air, includes all 256 games, preseason games, and even archived games games from the 2009-2015 seasons, including the Super Bowls from these years. This is great for those who want to watch the games they missed later on with no advertisements or interruptions. It’s also a great idea for someone who doesn’t have time to catch their favourite team’s games live as they air. What VPN Service works best with NFL Game Pass? What DNS Service works best with NFL Game Pass? I hope this guide helps and let me know if you have any questions in the comments! I don’t know how to watch free but for few $ you can watch it on REMOVED (Scam potential). There you can watch that game without any blackouts or some other popups. The prices for game pass listed above are they current 2016 prices? So if I buy gamepass in Canada, can i then use the DNS and set myself up in Belgium and get every game? Or do I have to buy a Belgian gamepass account? I used this last year. Bought the UK version & watched most games live via Google Chrome with the “Hola” VPN plugin. It worked pretty well, but although my Netflix, Hulu, and Apple TV streams are perfect (I have a fast Internet connection), my Game Pass viewing experience was jittery and sometimes difficult to watch (lots of buffering). It was better than not seeing games at all, but don’t expect to always have a level of quality that you’d want if you were hosting guests to watch the game. Hello.. If I buy a gamepass in germany, can I watch footballgames when I’m in the netherlands? We will connect pc to television to watch.The pass owner lives in germany, stay’s regular in the netherlands. Looking to watch Jets @ Chiefs from Italy Sunday 25 September. What’s the best way to go about it? I am moving from Minnesota to Indonesia. Once I am there can I sign up to get all the games on my computer? Can I get the NFL game pass in the Philippines? If so how much does it cost? screen variety is a scam site and clearly not legal. How can you differentiate between the two, the VPN and DNS ? As you table for Pure vpn showed it’s two service (as a VPN & Dns). Anyhelp you can give me is appreciated as this move is for business but leaving the NFL behind is quite stressful to think about! I use the NFL Gamepass International in the Philippines. The 2017 price is $199.99. You get all regular season games, the playoffs, and Super Bowl. You can watch them live or delayed. I watch the late games live, but generally stream the one o’clock games the next morning so I get a normal night’s sleep. I used this scheme in 2016 and 2016, but am having trouble in 2017 with the new http://www.nflgamepass.com link. With the DNS or VPN the NFL site indicates that I am not in Europe. Have you been successful in 2017? hi, thank you for your comment. This site is only for official streams and so i have removed the link to the service you mentioned. Subscribe to and get interesting stuff and (infrequent!) updates to your inbox. We respect your privacy and take protecting it seriously. Your email address will not be shared with anyone, ever!! Subscribe to our mailing list and get more stuff and updates to your inbox.